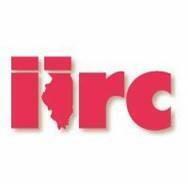 The Illinois State Board of Education (ISBE) released our annual School Report Card on this past fall through the Illinois Interactive Report Card website. We in the Byron School District hold high expectations for our students and we continue to look for ways to improve the opportunities that are given to them. We understand that educating our community’s children is a team effort and we appreciate the continued support we receive from our parents and community. If you have any questions, please do not hesitate to reach out to us by contacting your child’s school principal. Go Tigers!